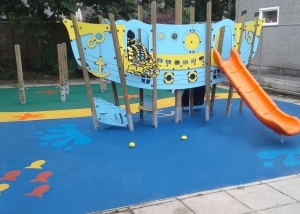 There are two playground surfaces that we provide for schools and nurseries. 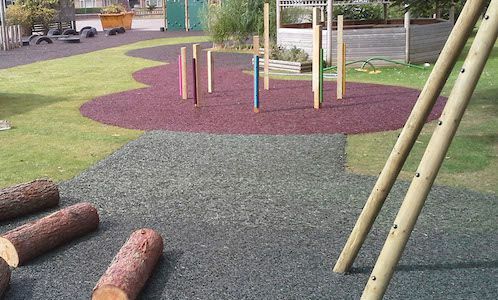 Wetpour and rubber mulch are both soft rubber surfaces that absorb impact from falls, making them ideal for play area surfaces. 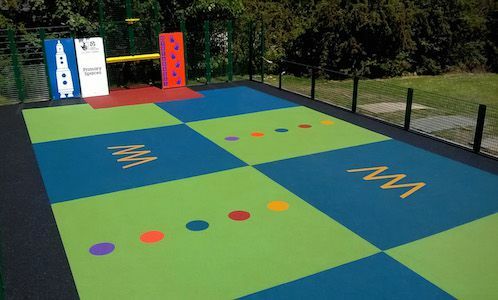 Both of our safety surfaces can transform playgrounds of all shapes and sizes and bring the surrounding area to life. 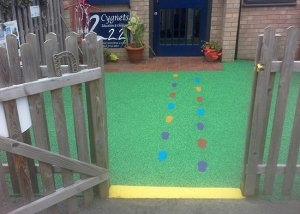 They are easy to maintain and are available in a variety of colours to create an appealing and educational playground. 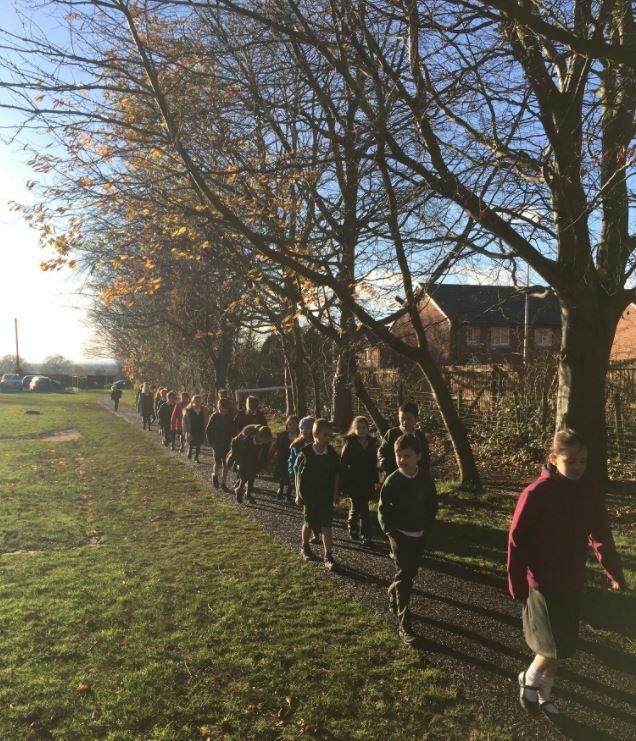 We understand that a playground has to be a safe and exciting place to play and learn. 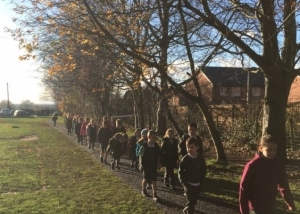 To help you create a play area filled with lots of learning opportunities, we have showcased photos from some of our installations. Billy Bounce playground surfaces have been tested under the procedures and guidelines according to British Standards. 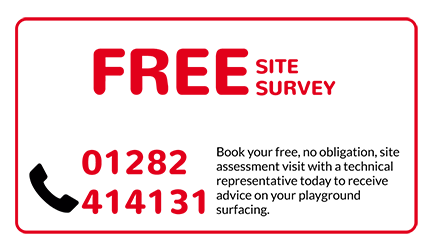 Our wet pour surfacing has been independently tested by the Centre for Sports Technology under BS EN 1177:1998 – “Impact absorbing playground surfacing – Safety requirements and test methods”. 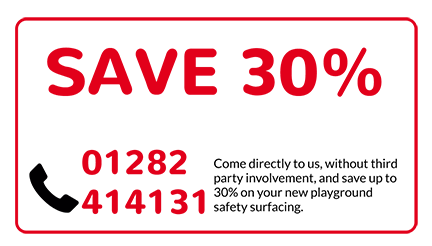 It also meets the requirements of BS 7188:1998 – ‘‘Methods of testing impact absorbing playground surfacing – Performance requirements and test methods”. This standard of testing concluded the surface’s resistance to abrasive wear and ease of ignition, its tensile strength, slip resistance and resistance to indentation. 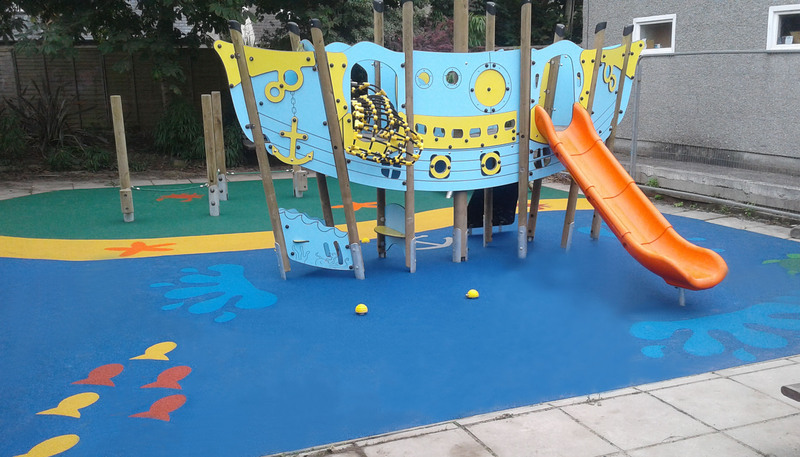 Furthermore, our wet pour is installed under BS 5696: Part 3: 1979 – Play equipment intended for permanent installation outdoors. As for our bonded rubber mulch surfacing, it is certified to BS EN 1176:2008 requirements.